We designed Soraa Healthy lamps with our unique Soraa ZEROBLUE™ technology, which means your body gets the circadian health benefits of blue-free light in the evening as nature intended. Nights are more restful, your body relaxes, and sleep comes more easily. Soraa’s patented ZEROBLUE technology advances LED science by creating an emitter of high-quality white light without blue radiation. 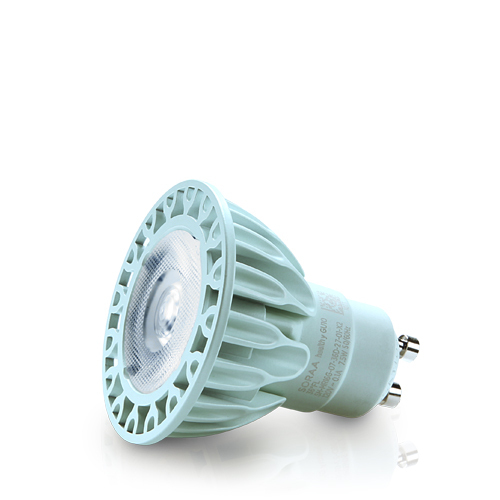 Based on Soraa’s world leading violet LEDs, Soraa combines an engineered mix of green and red phosphors to produce a spectrum with a wide gap in the blue range.